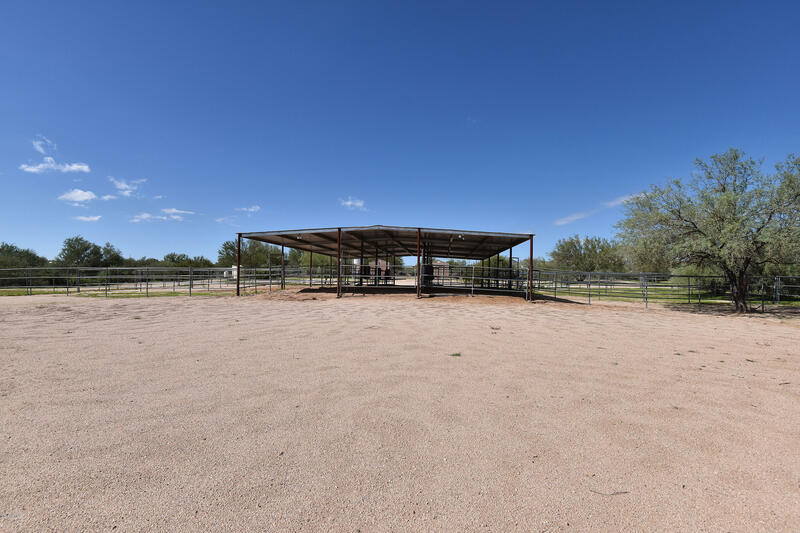 Fantastic horse property! 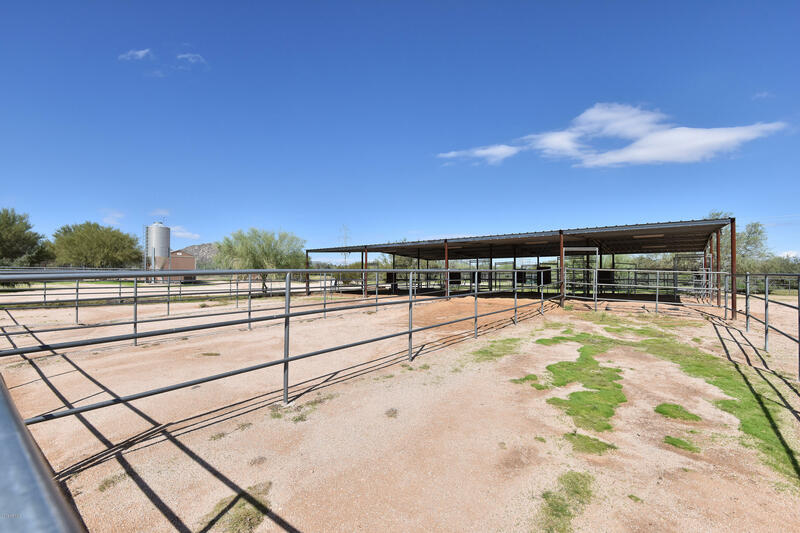 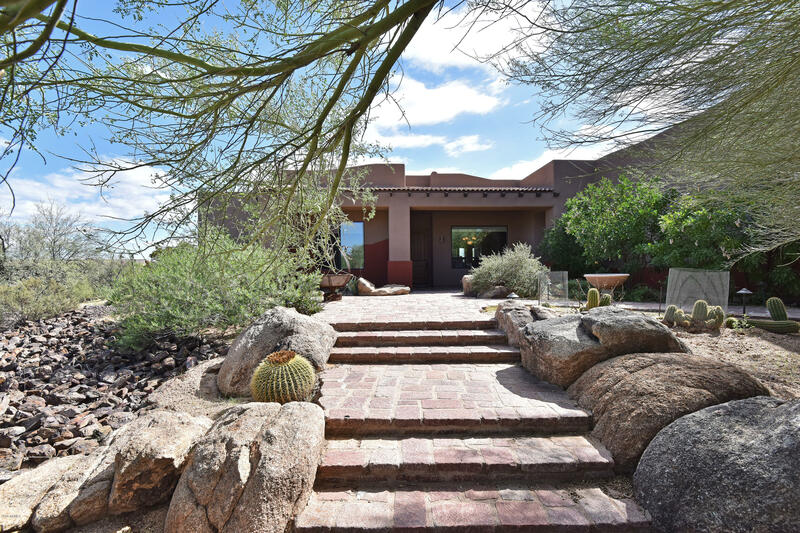 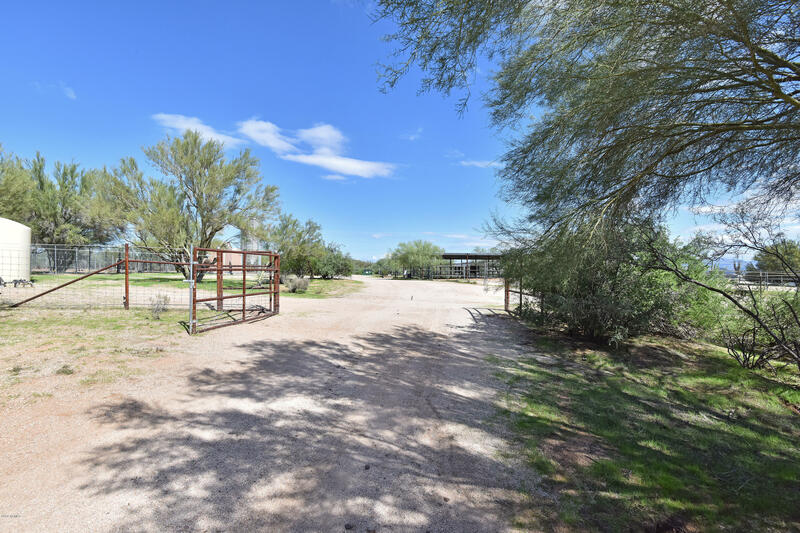 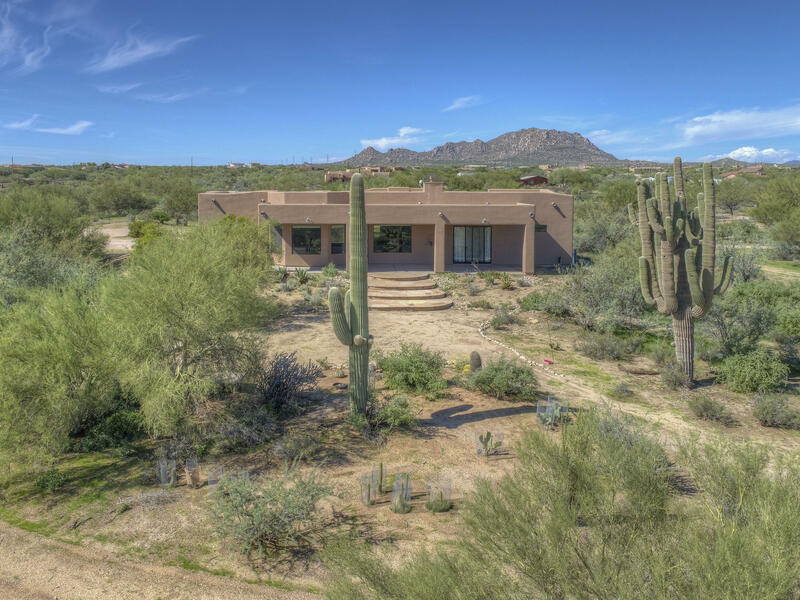 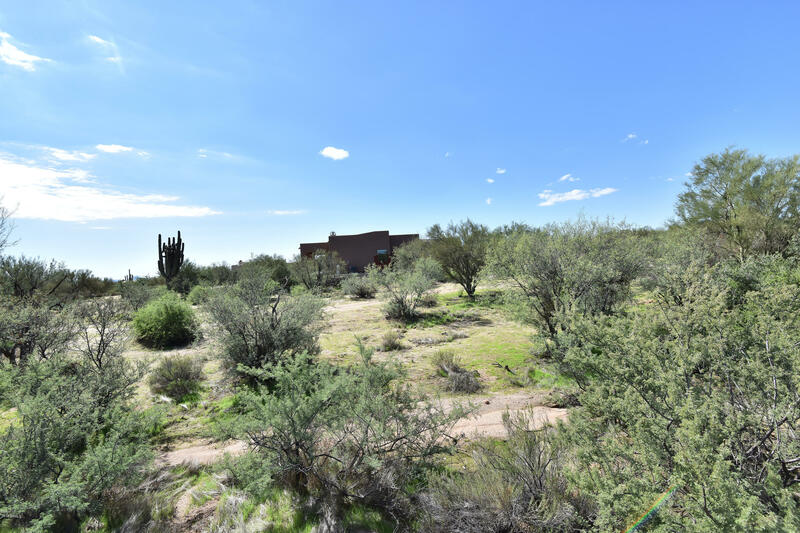 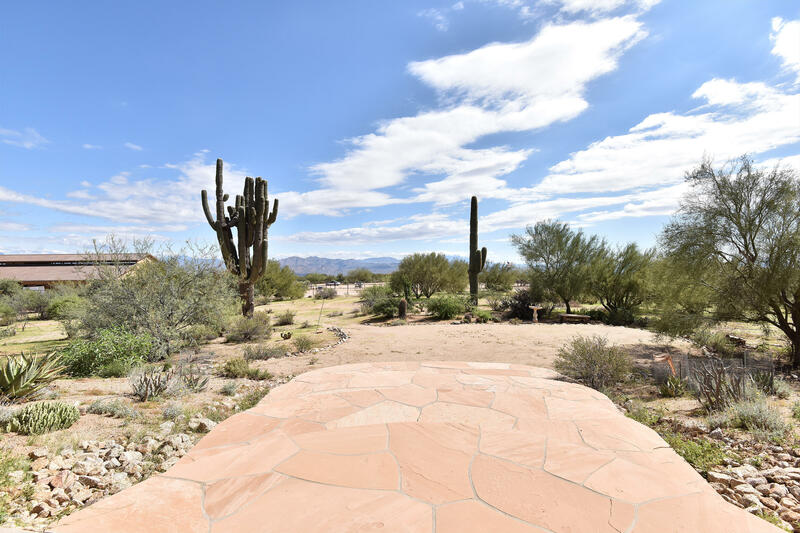 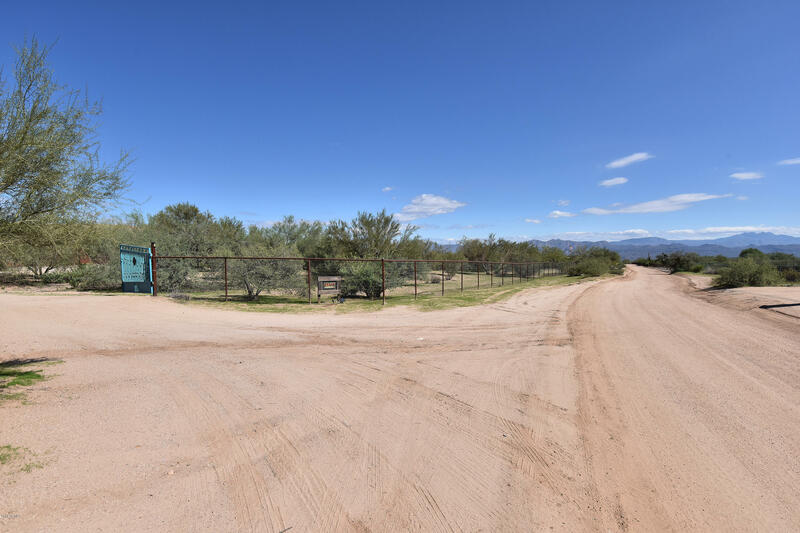 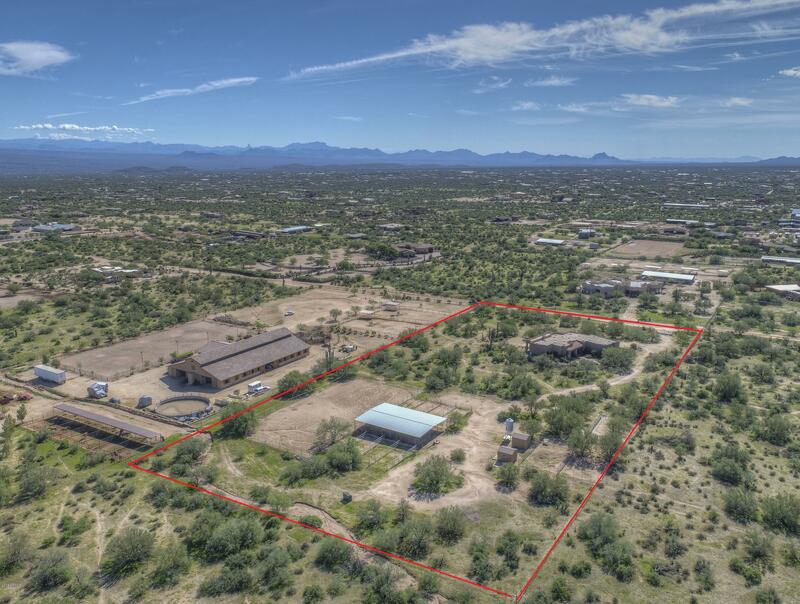 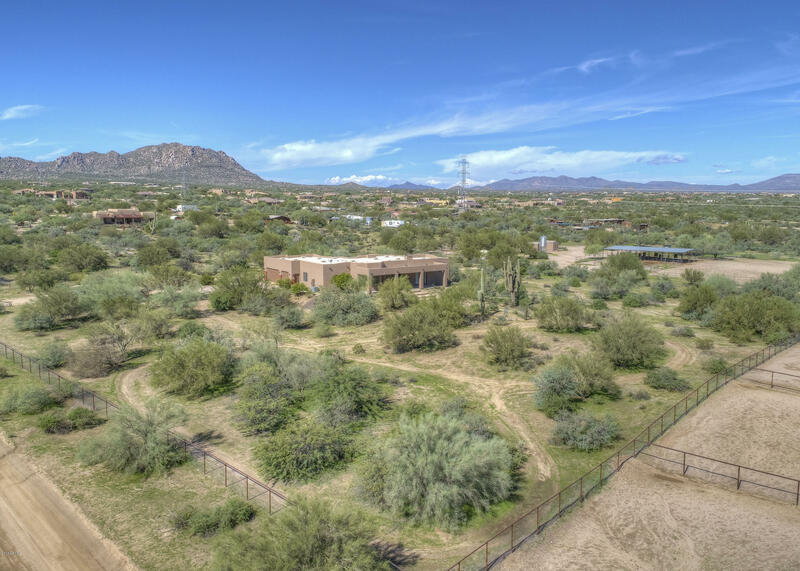 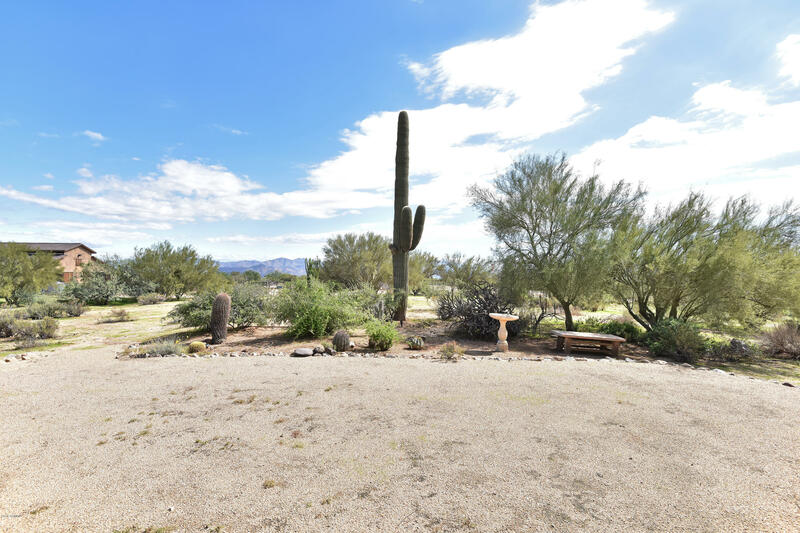 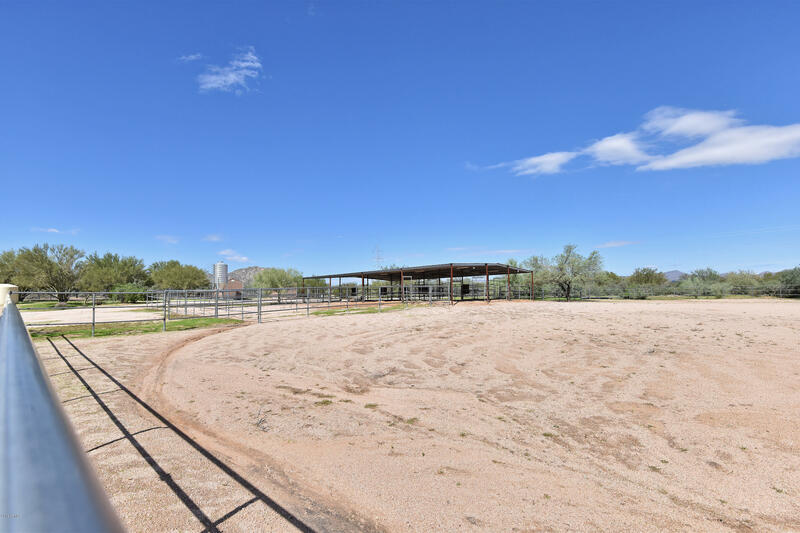 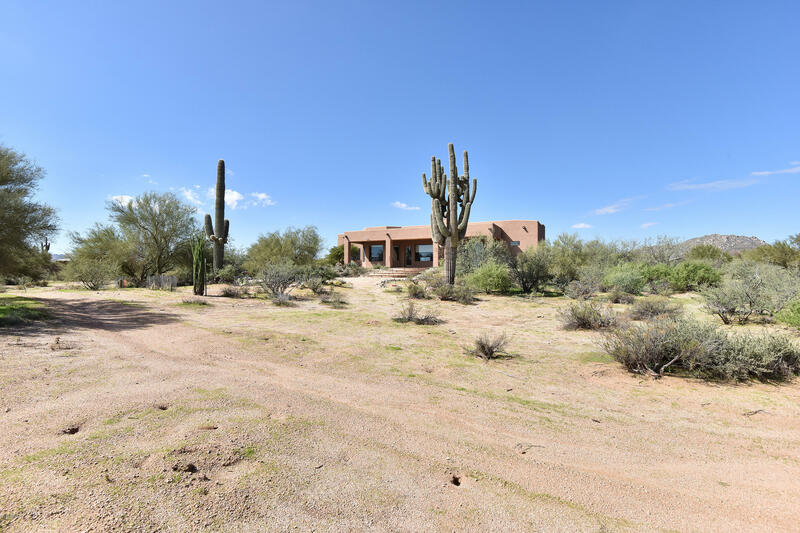 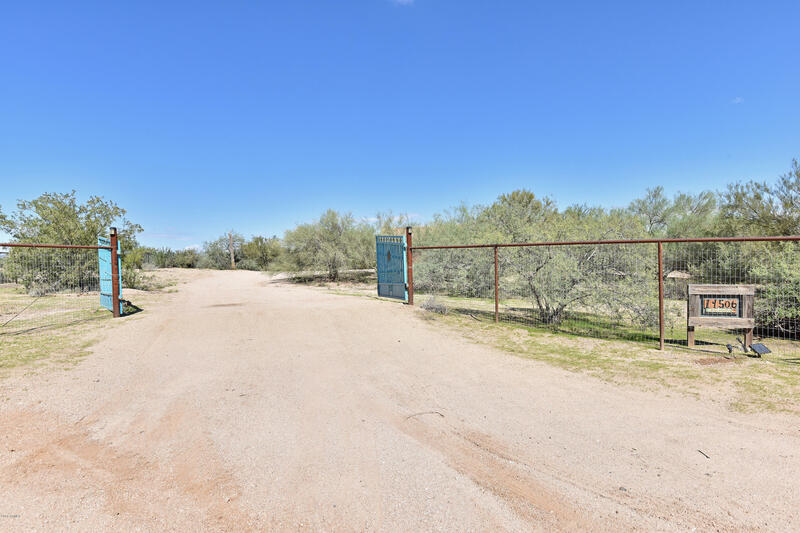 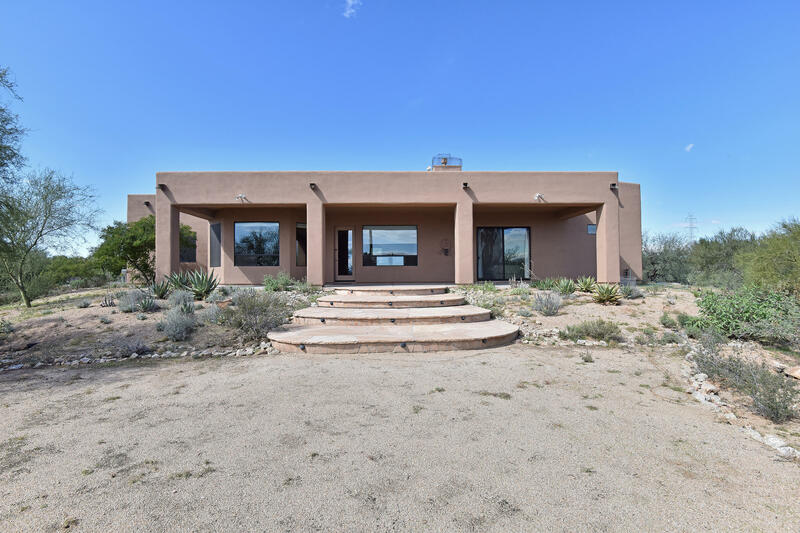 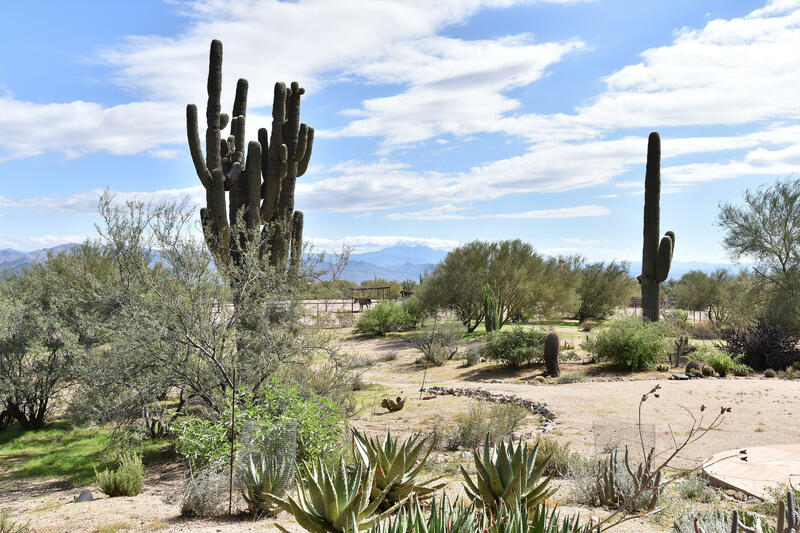 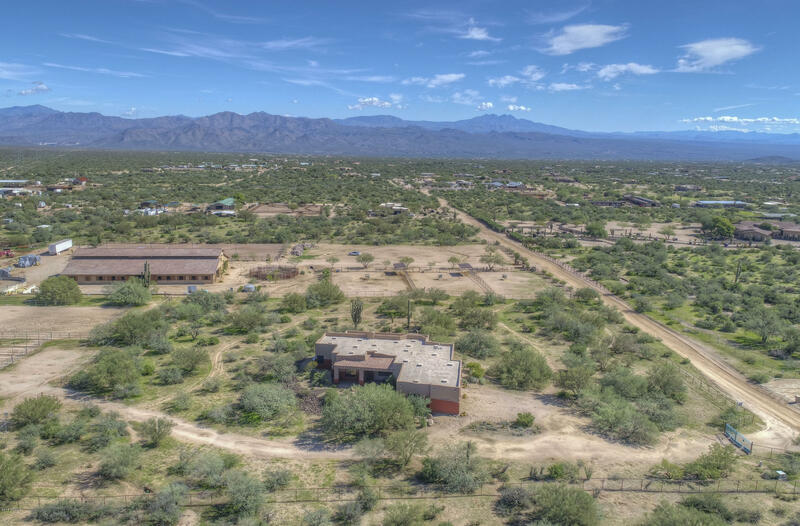 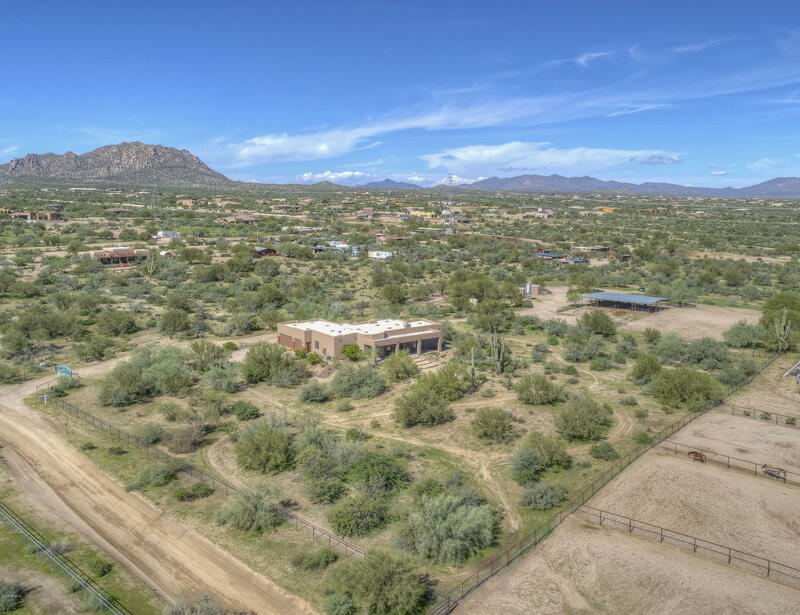 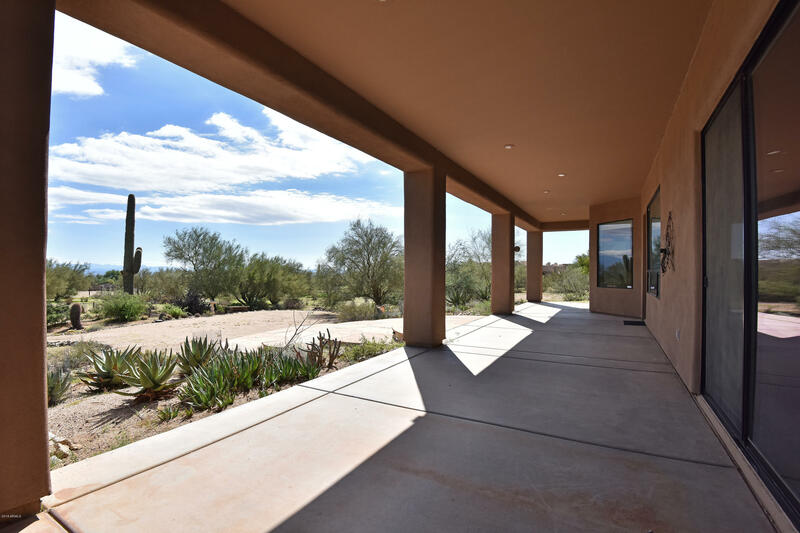 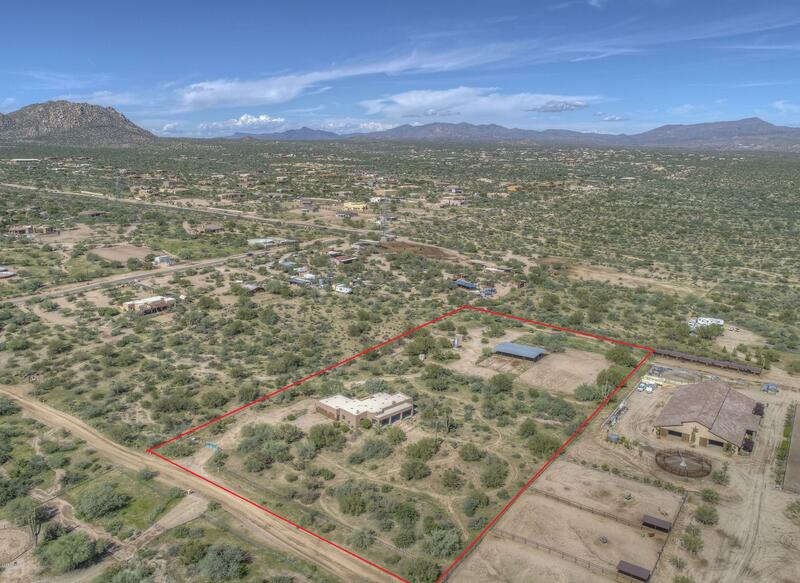 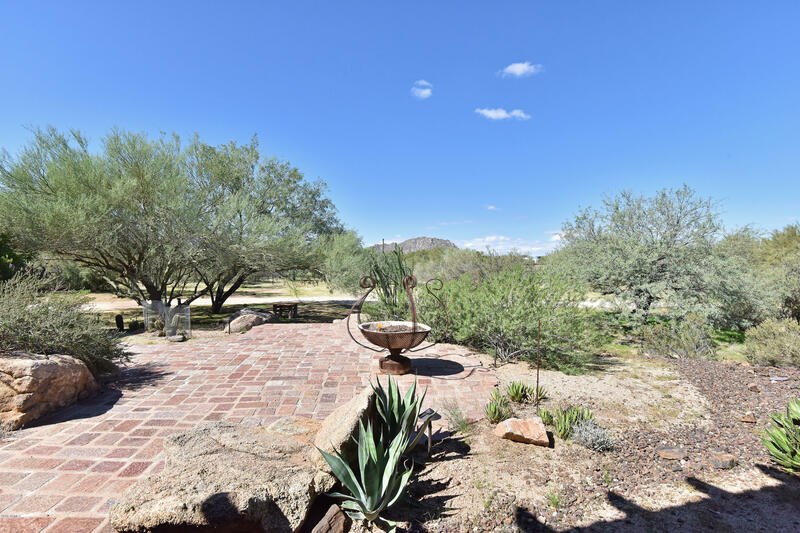 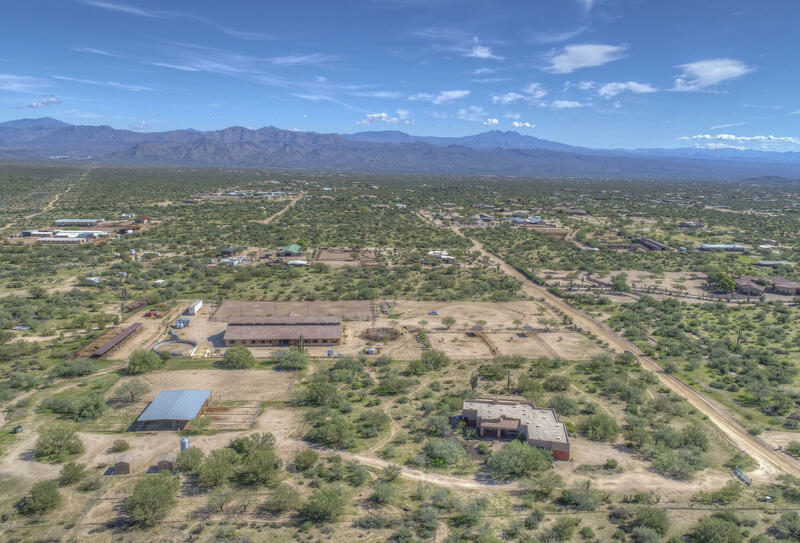 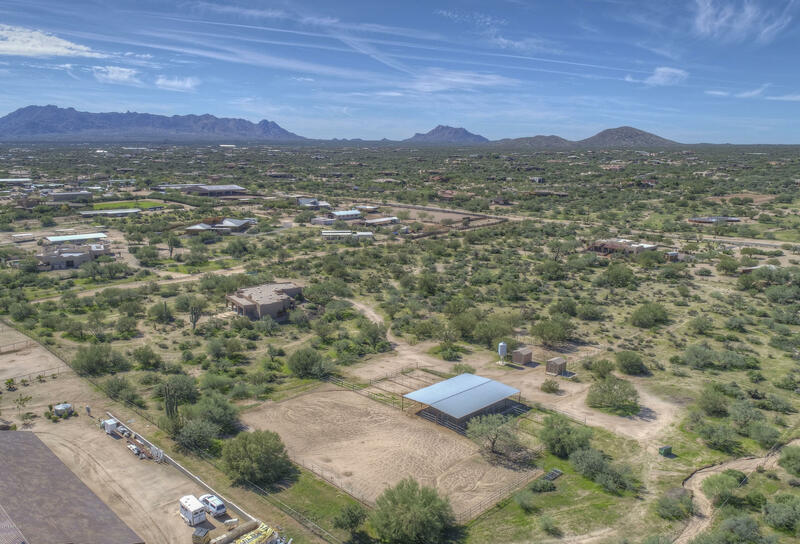 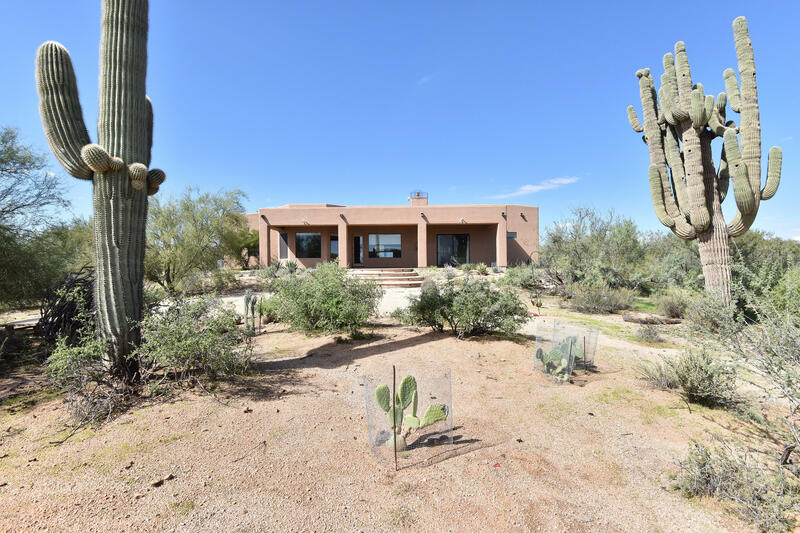 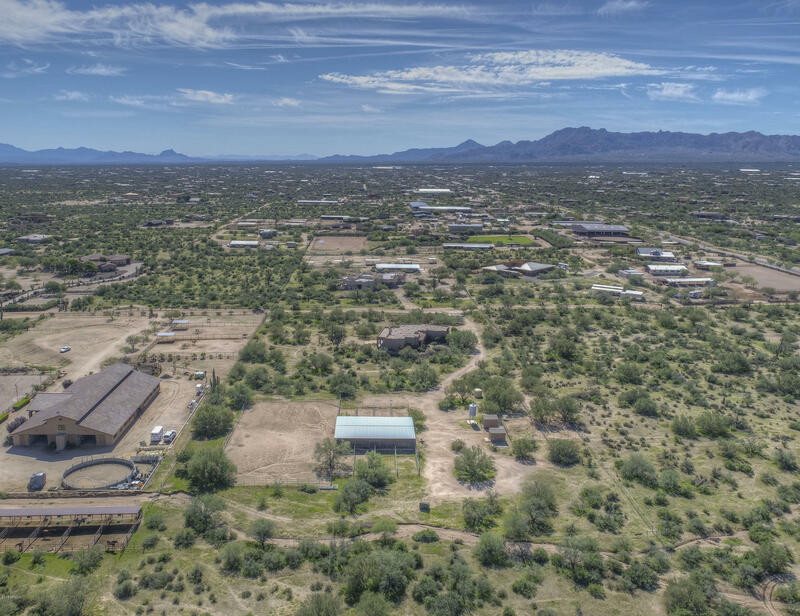 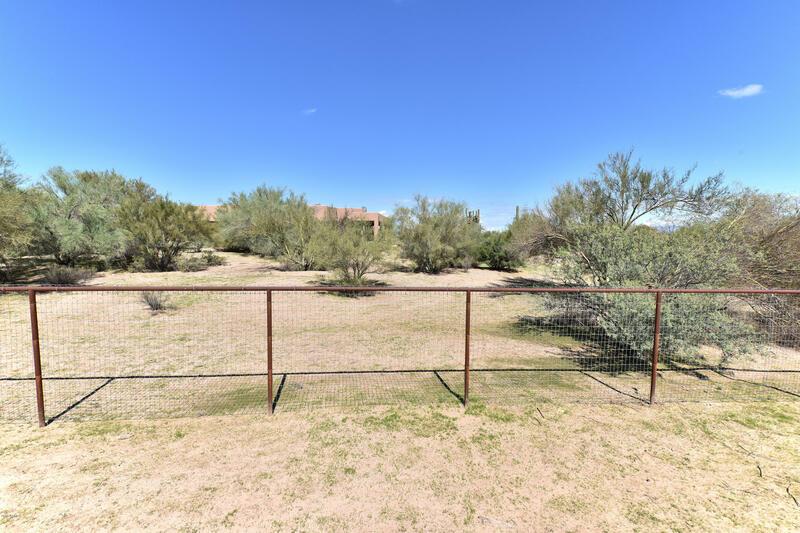 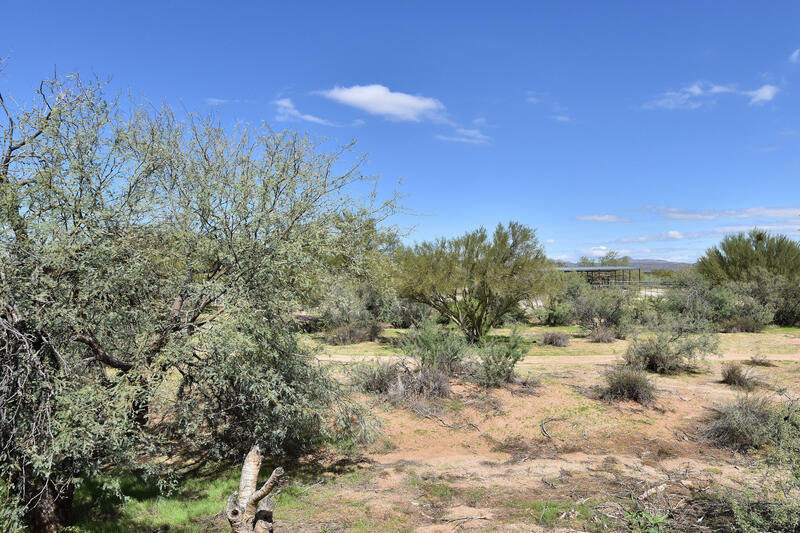 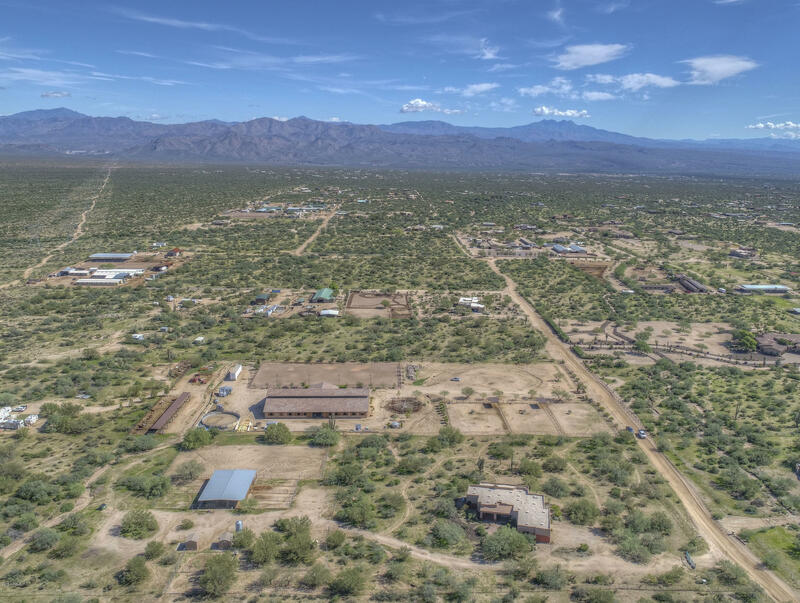 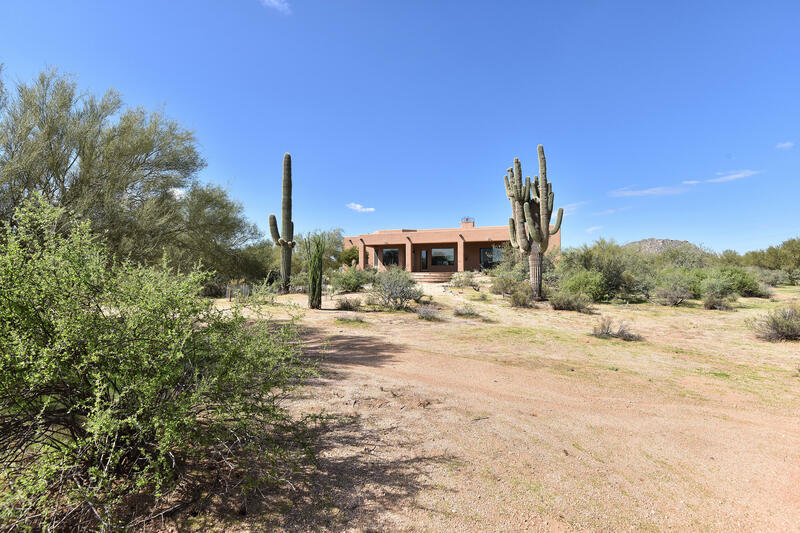 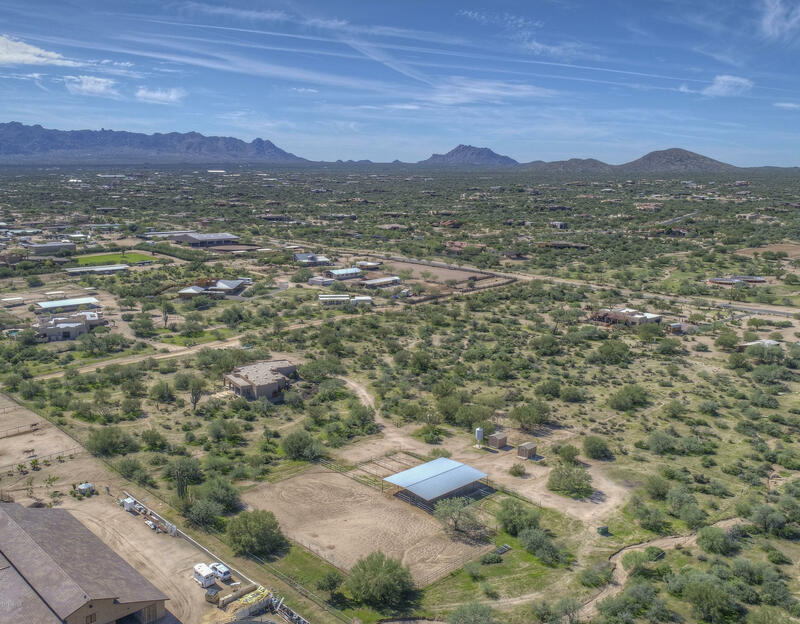 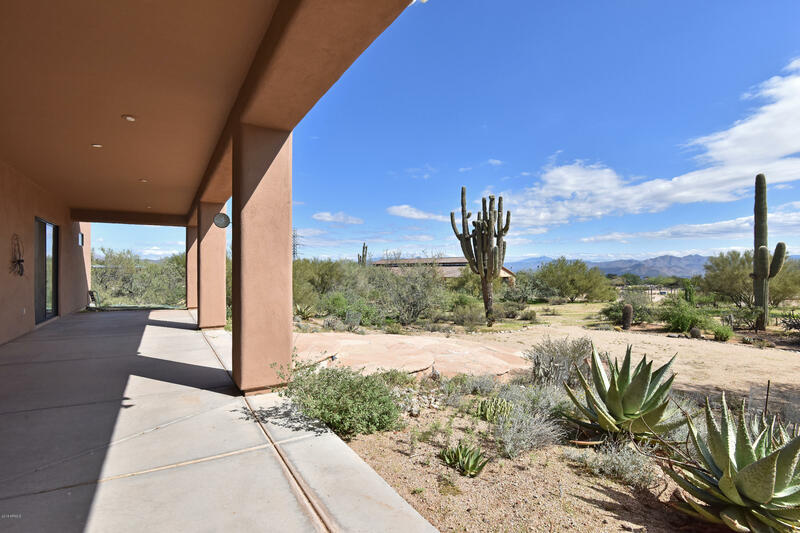 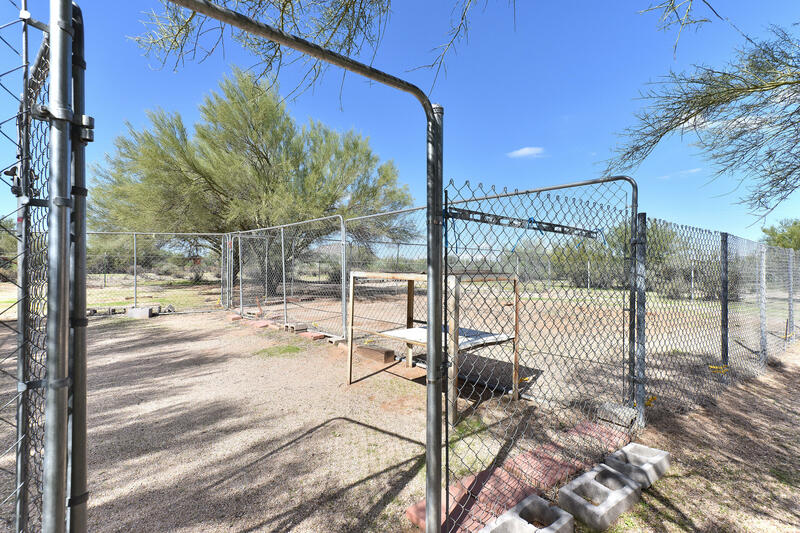 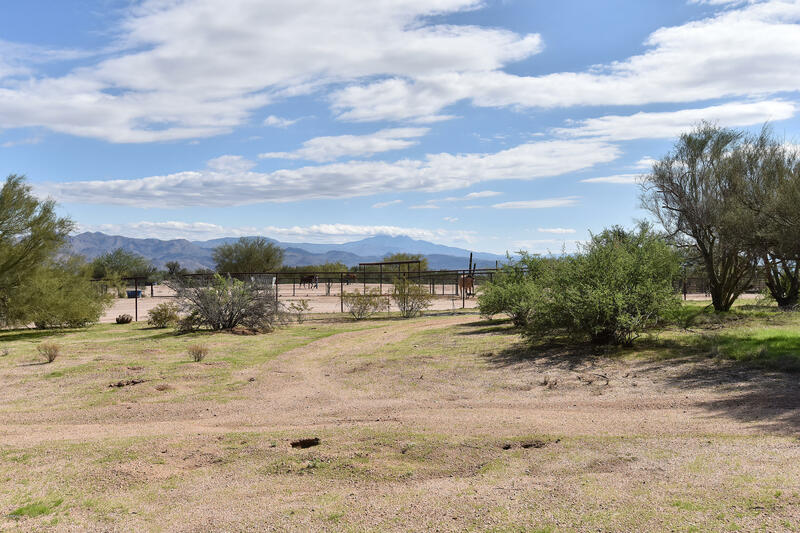 !Unobstructed mountain views from this fully fenced (no climb and piped rail), gated horse property on 5+ acres 660' from paved road. 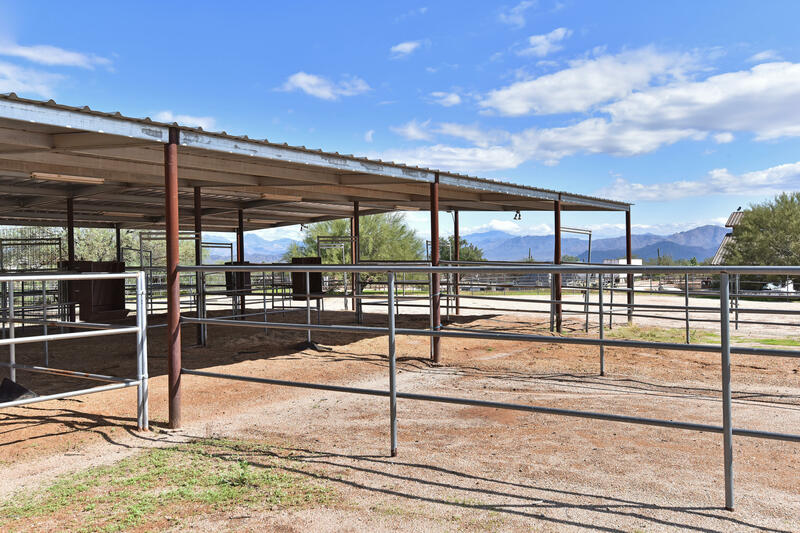 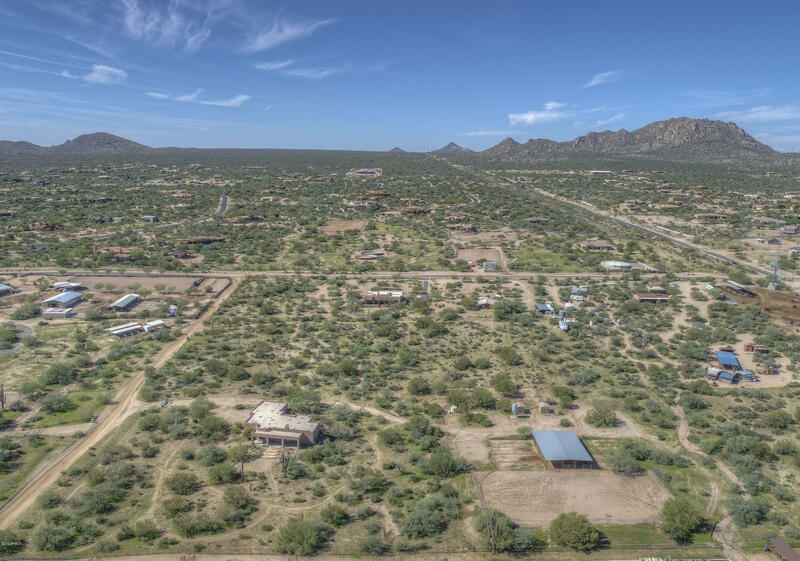 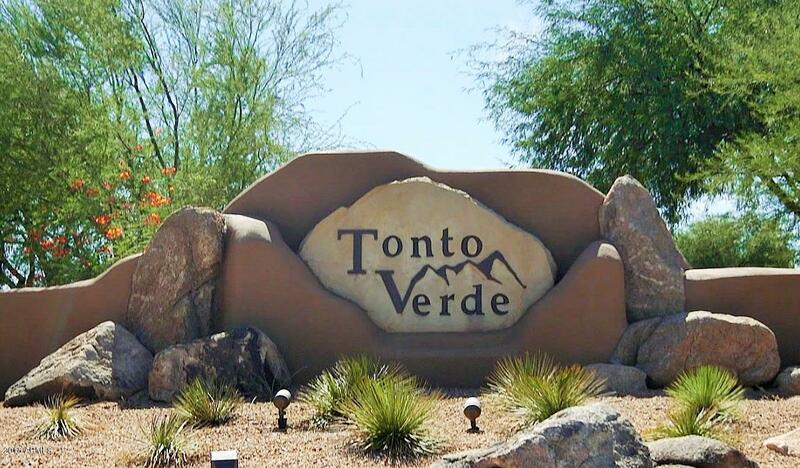 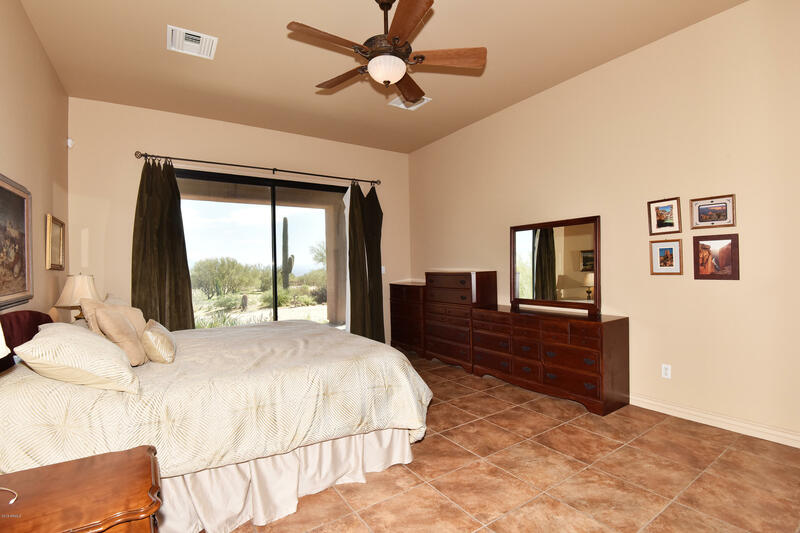 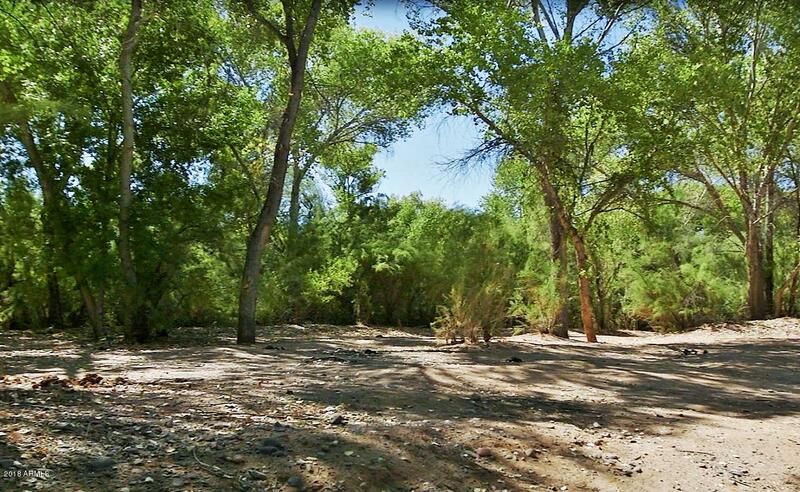 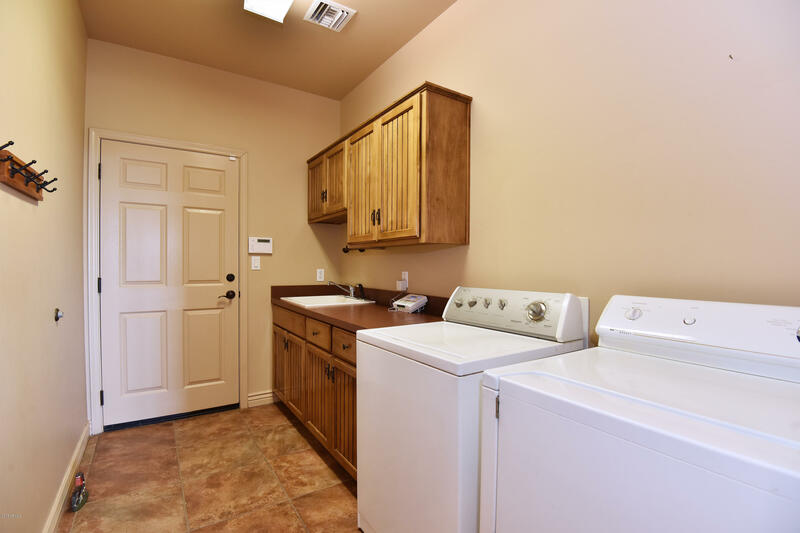 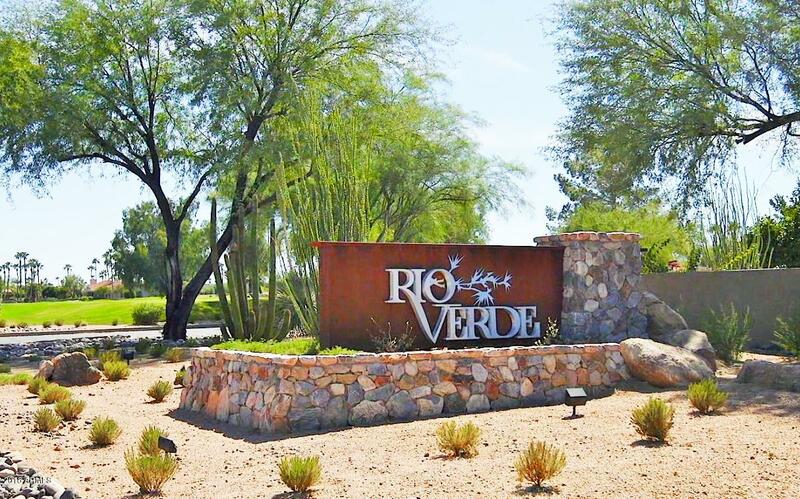 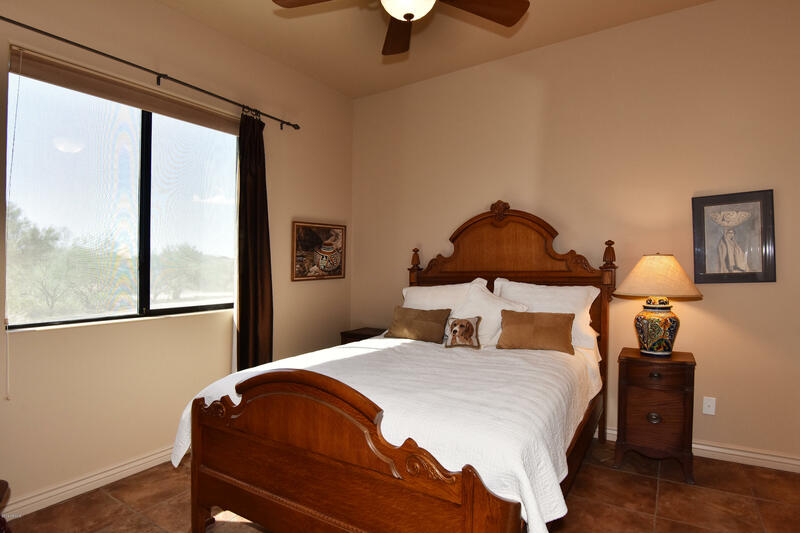 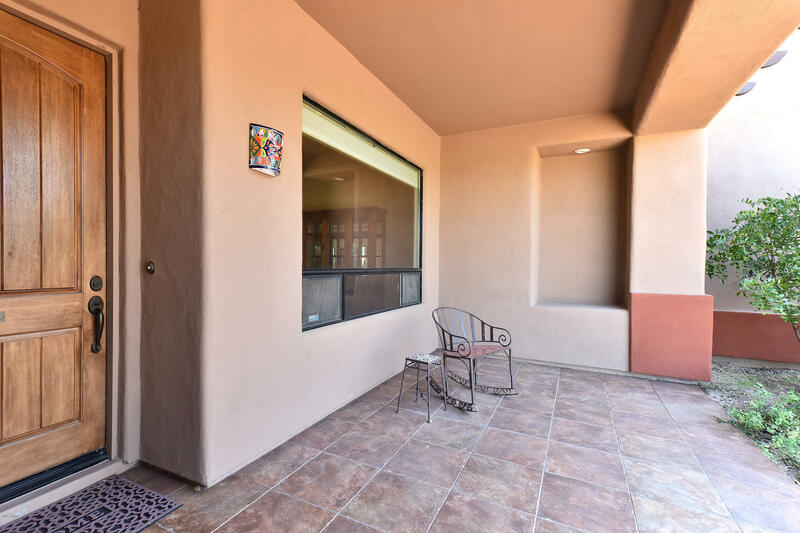 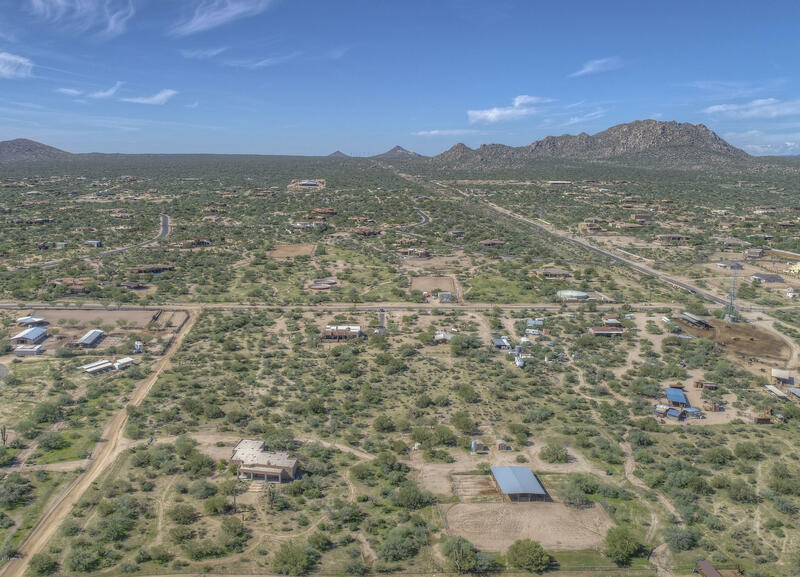 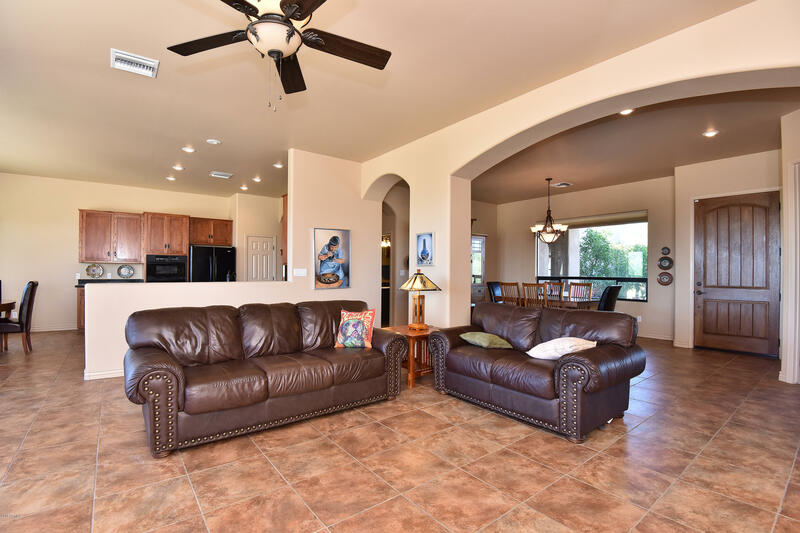 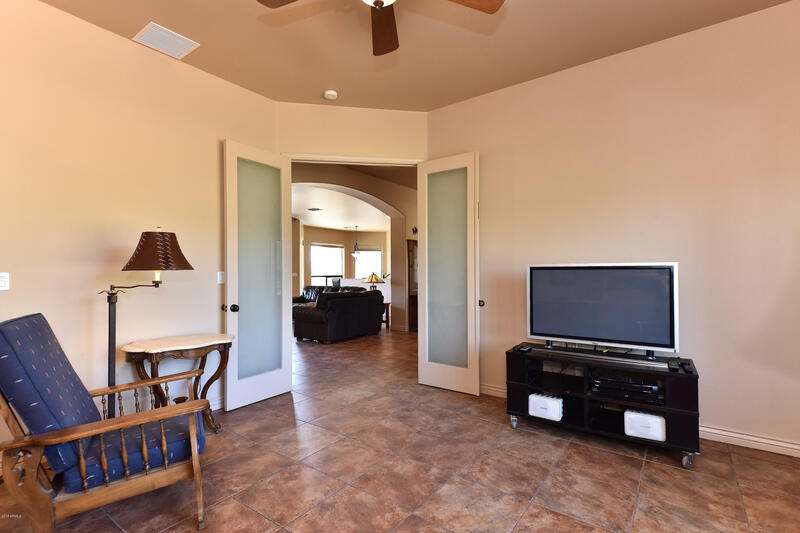 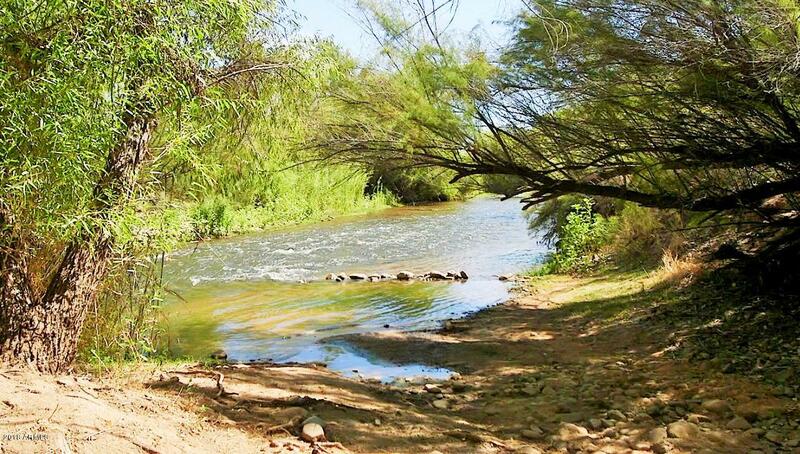 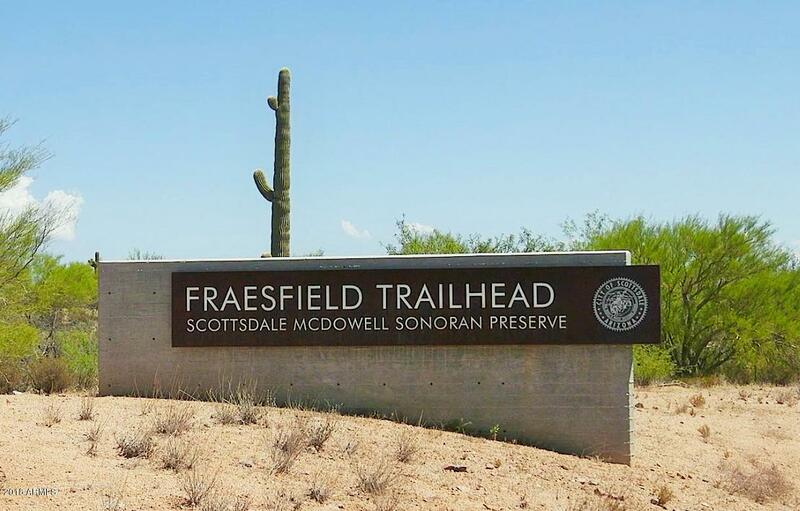 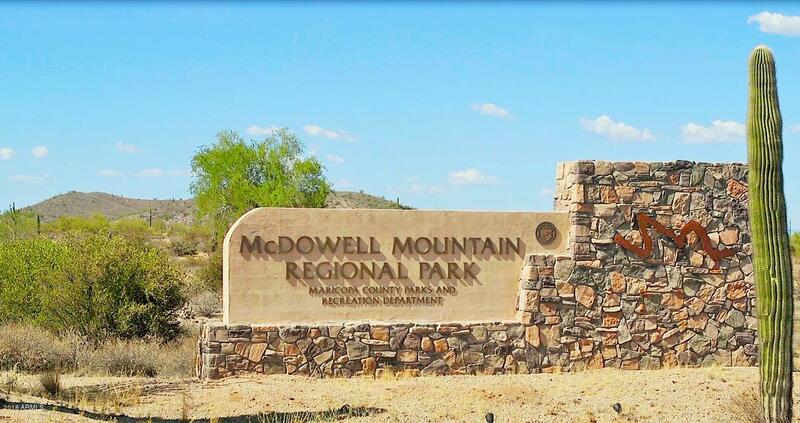 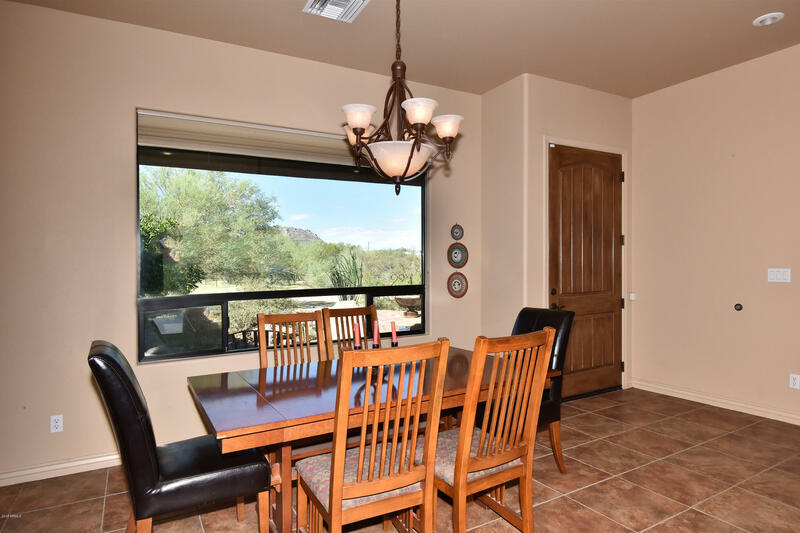 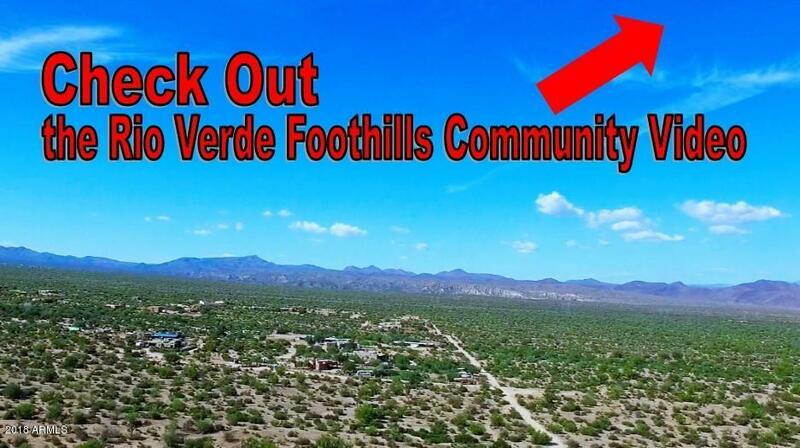 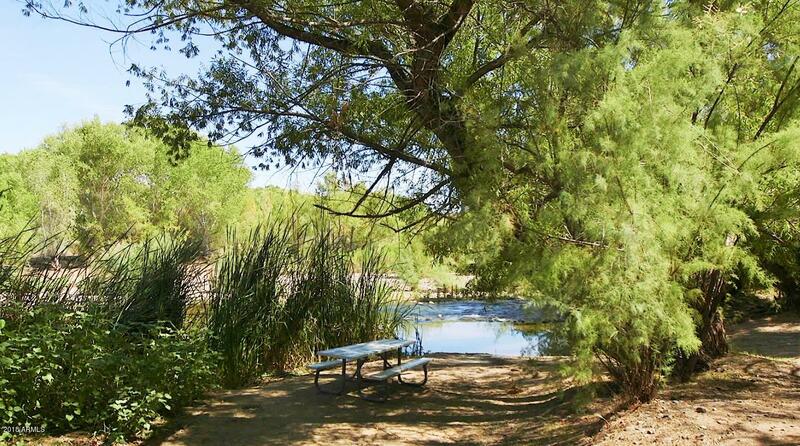 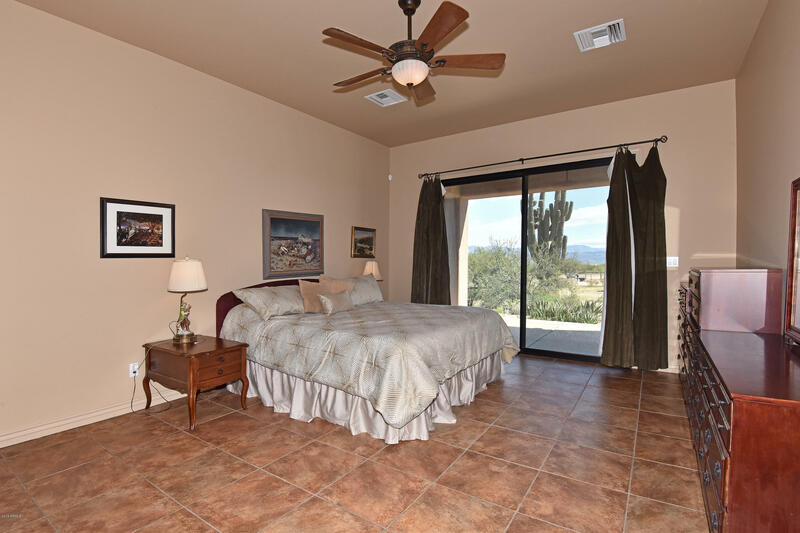 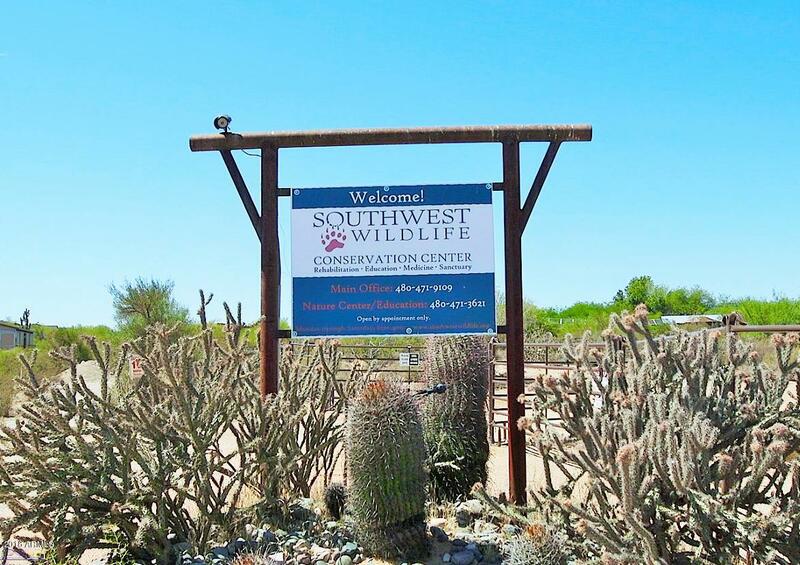 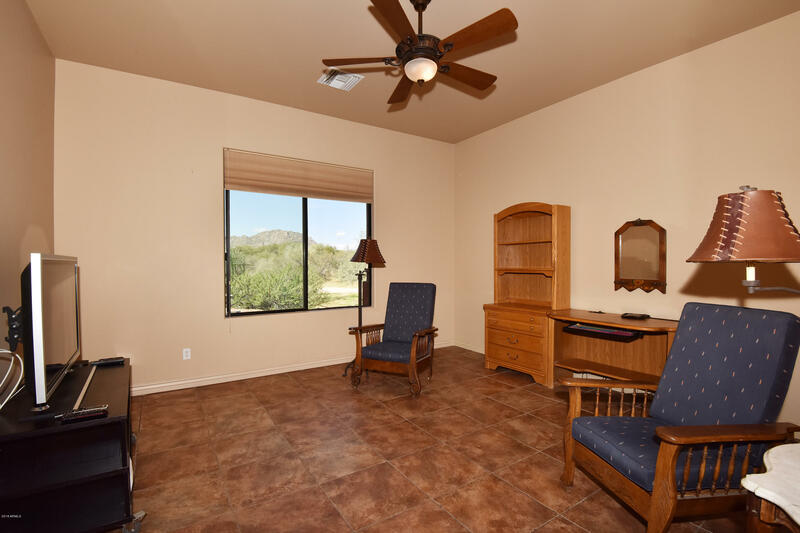 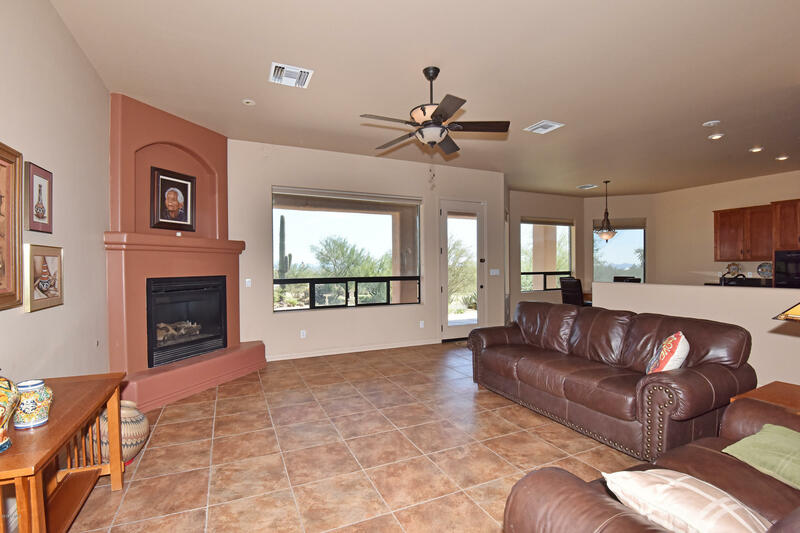 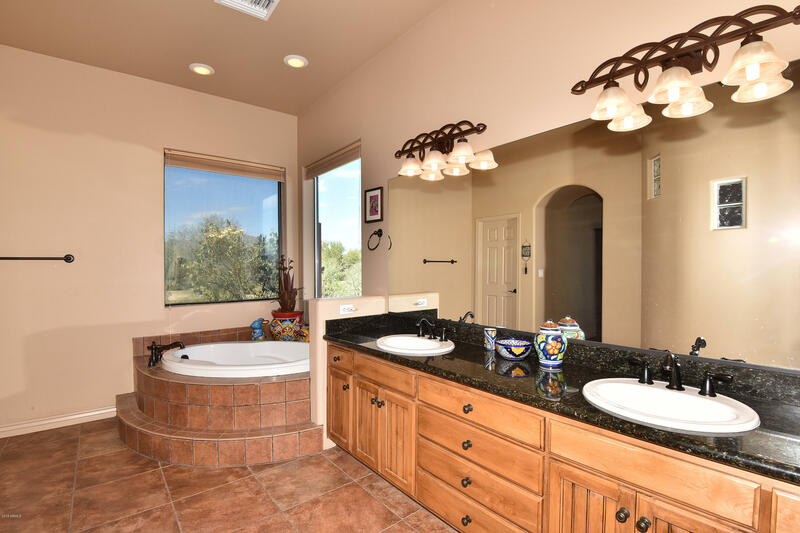 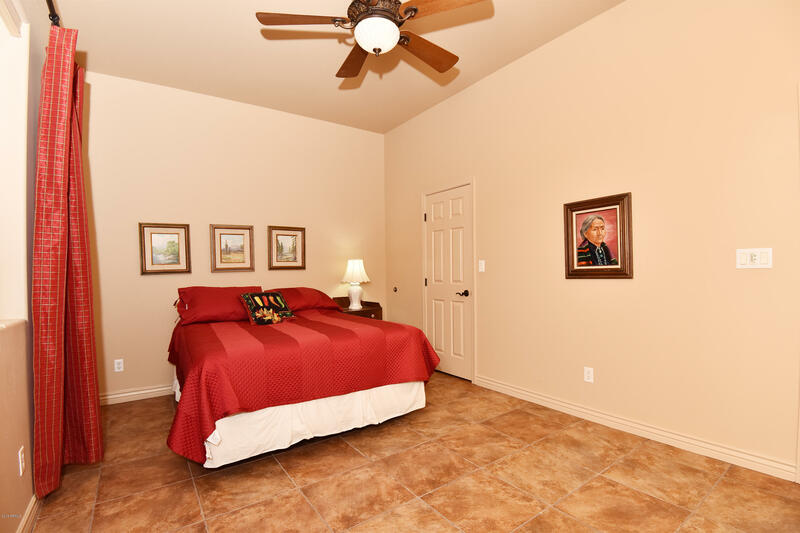 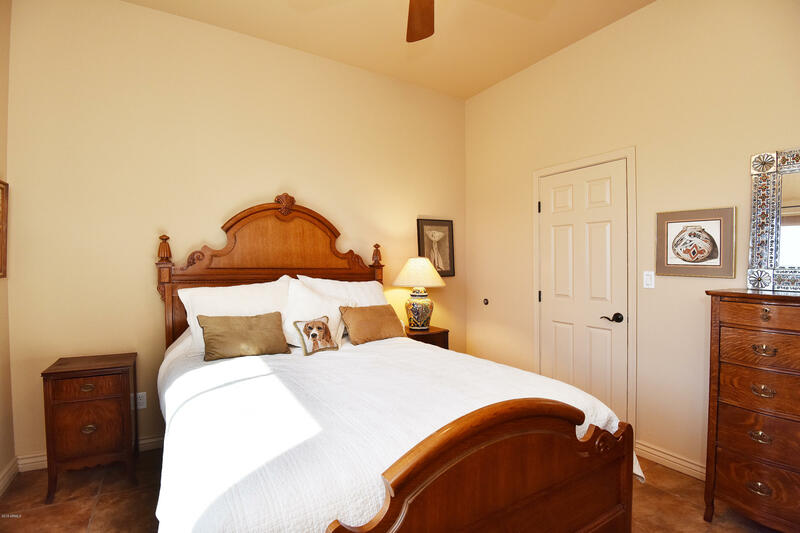 Close to Tonto National Forest with unlimited riding and trails. 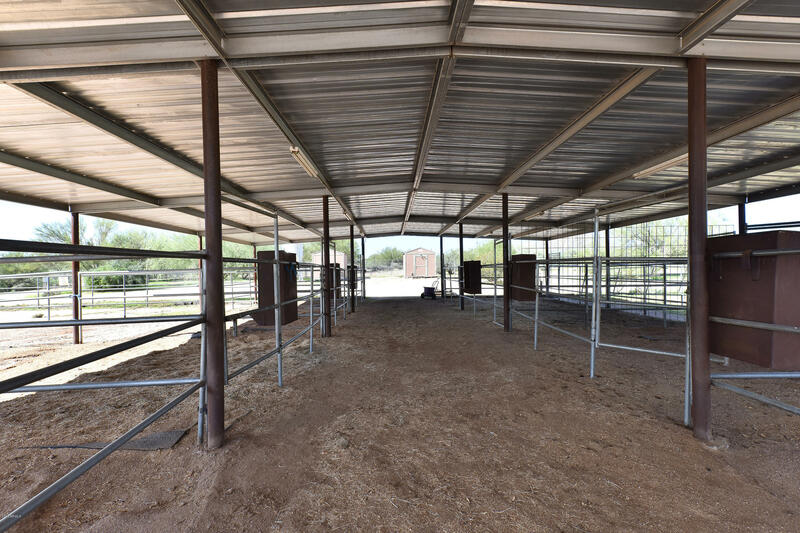 16'x16'- 8 stall mare motel with 48' turnouts and arena. 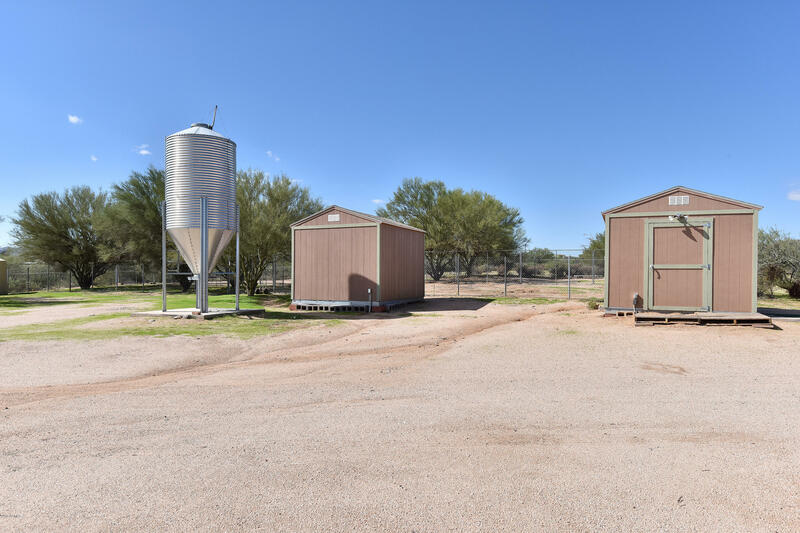 Two tuff sheds, pellet storage, and lots of room to expand. 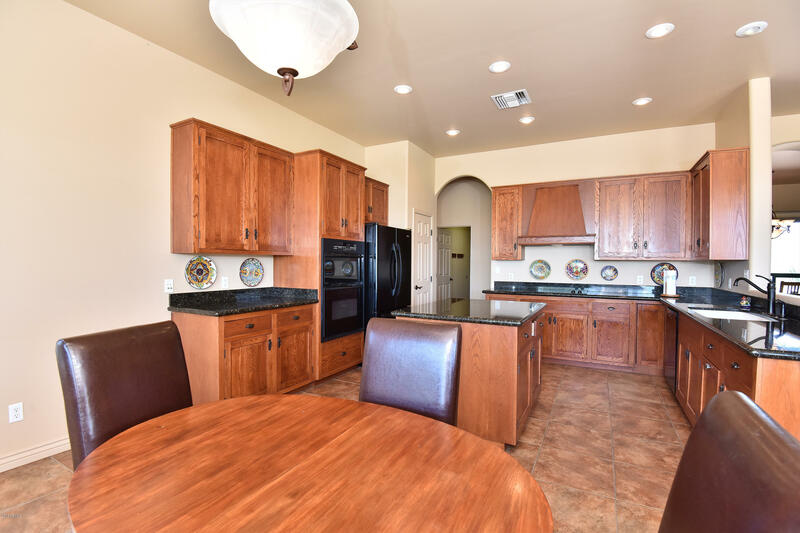 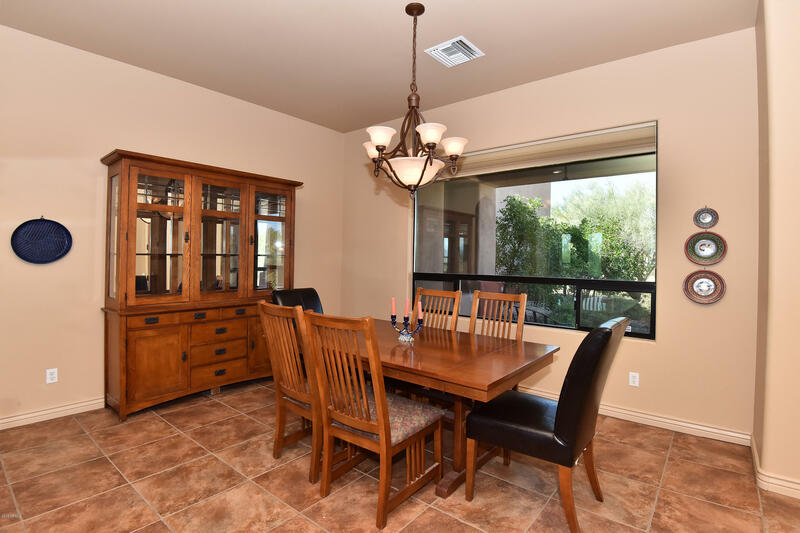 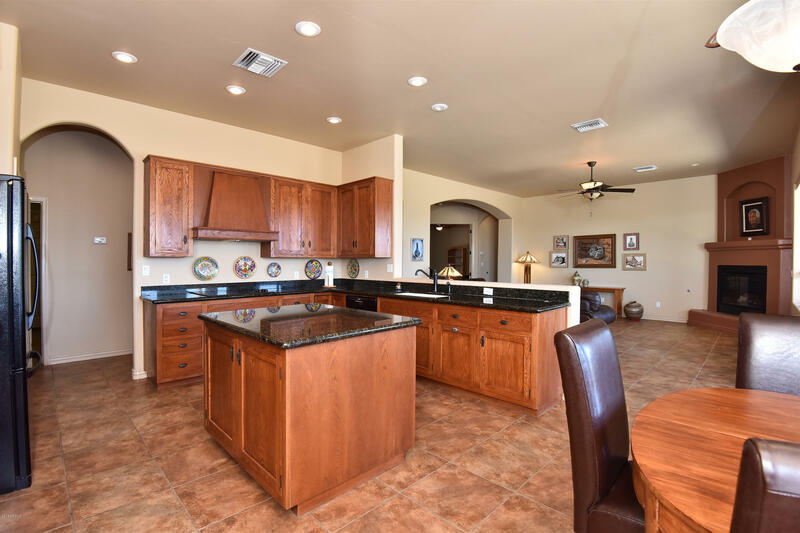 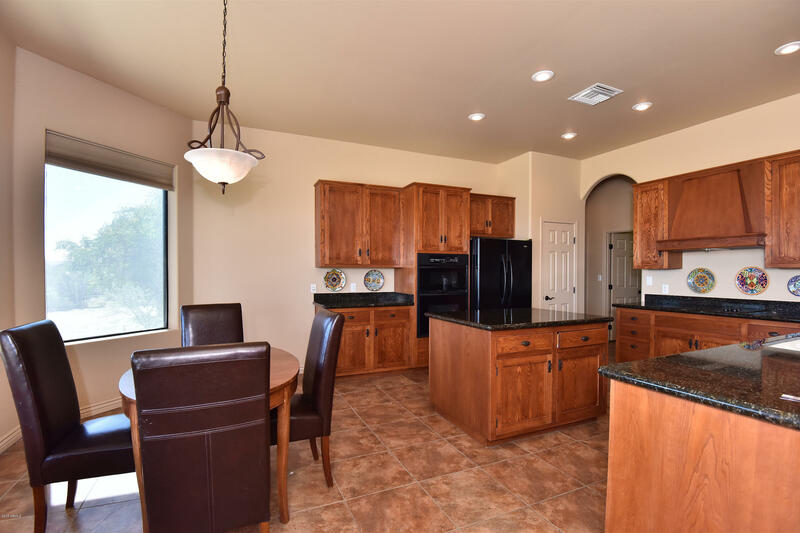 Kitchen has beautiful granite counter tops with custom cabinets. 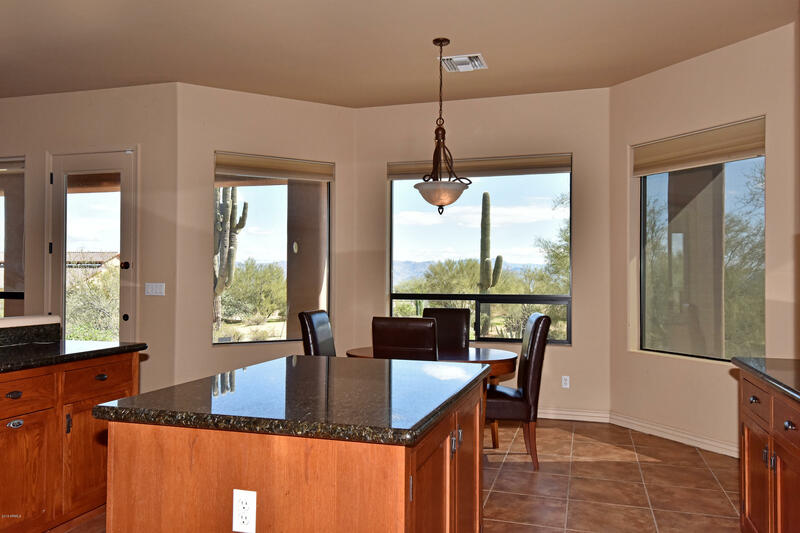 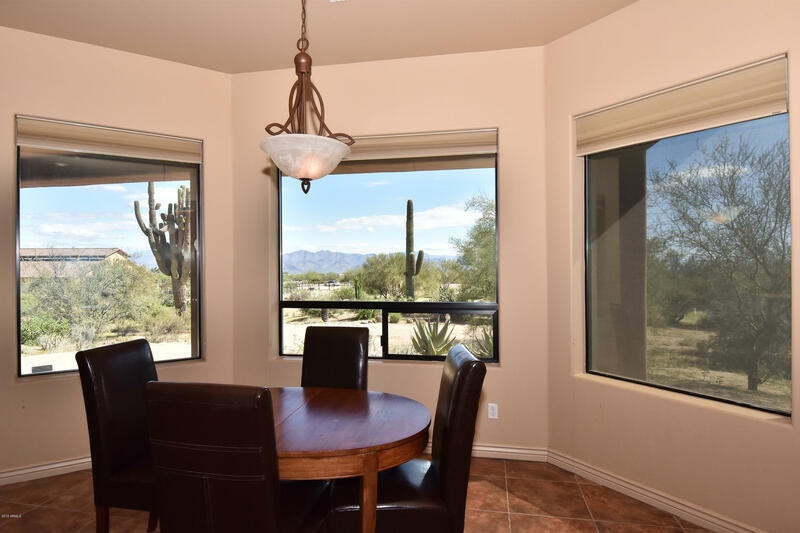 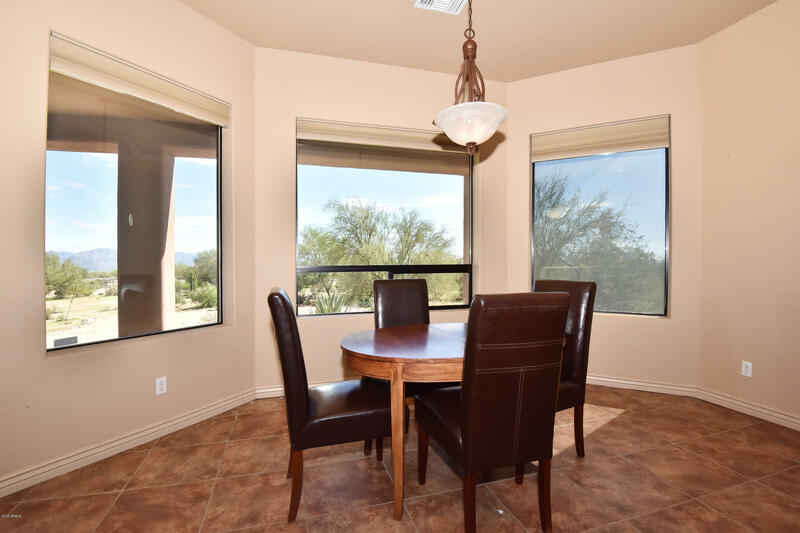 Sit at the eat in kitchen area and watch the amazing sunrises over Four Peaks. 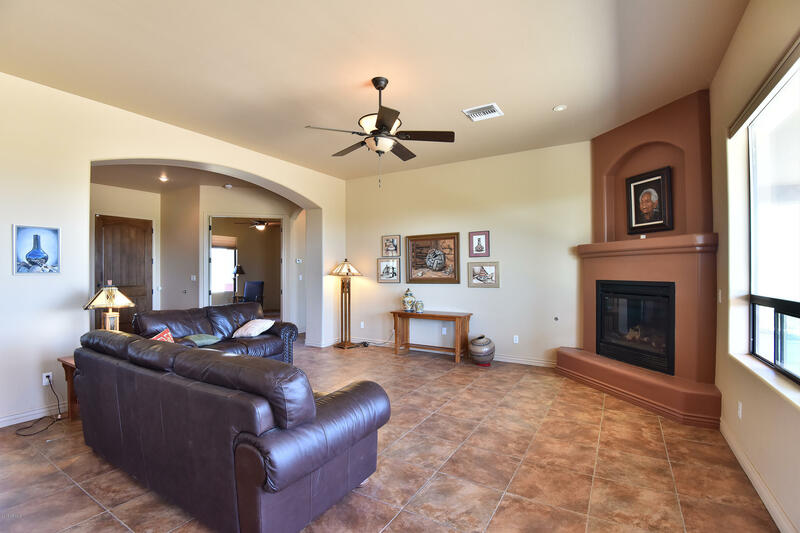 Split floor plan with tile throughout home. 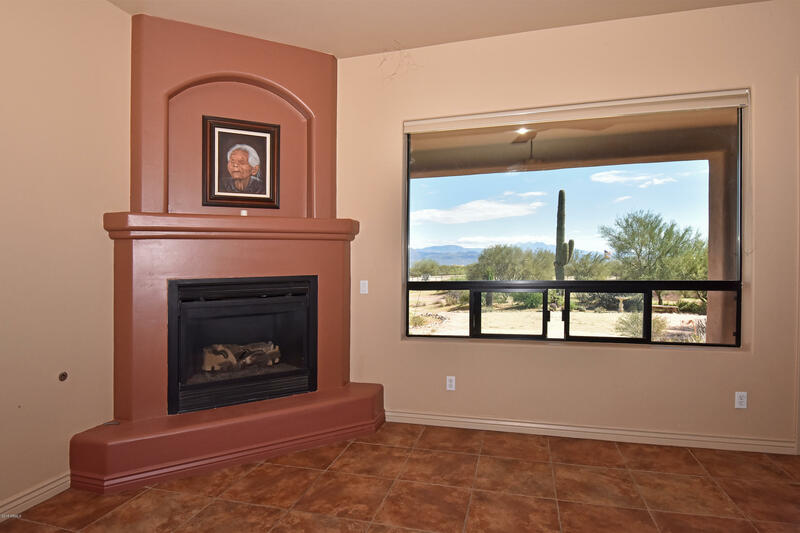 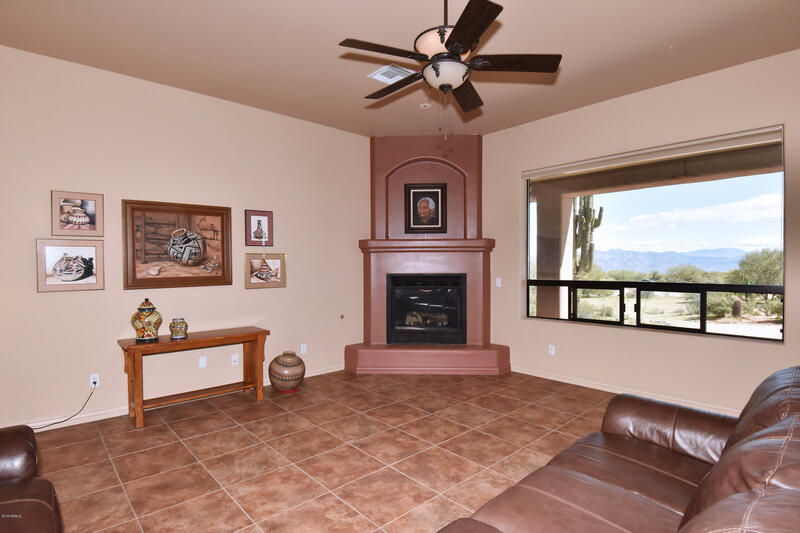 Great room offers endless views of the mountains and a gas fireplace. 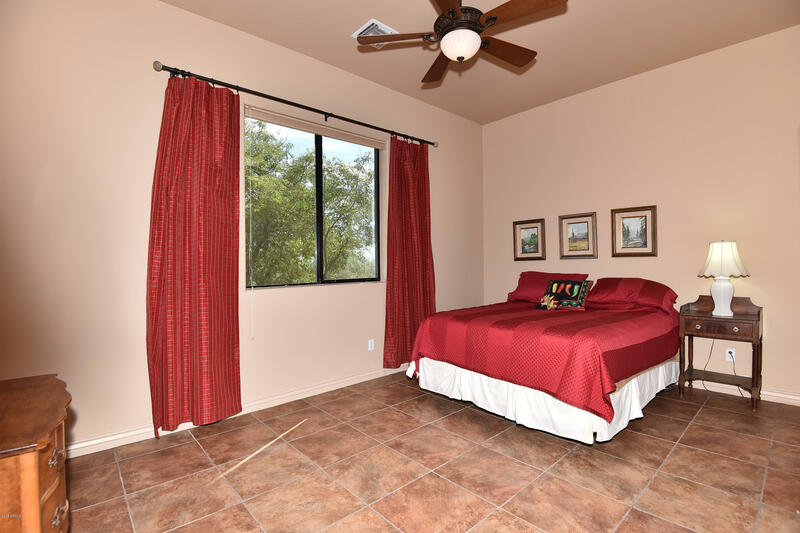 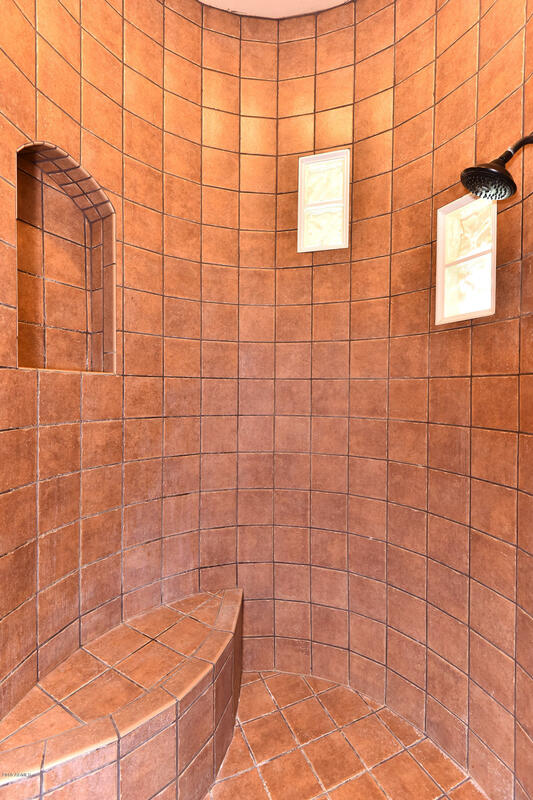 Master offers privacy, outdoor access, large soaking tub, walk in shower and many windows for natural light. 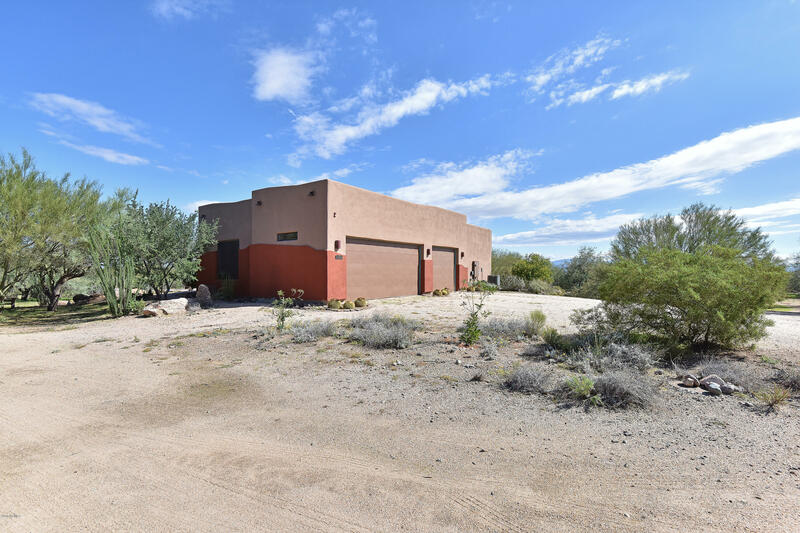 Super sized 3 car garage.Great for winter visitor. 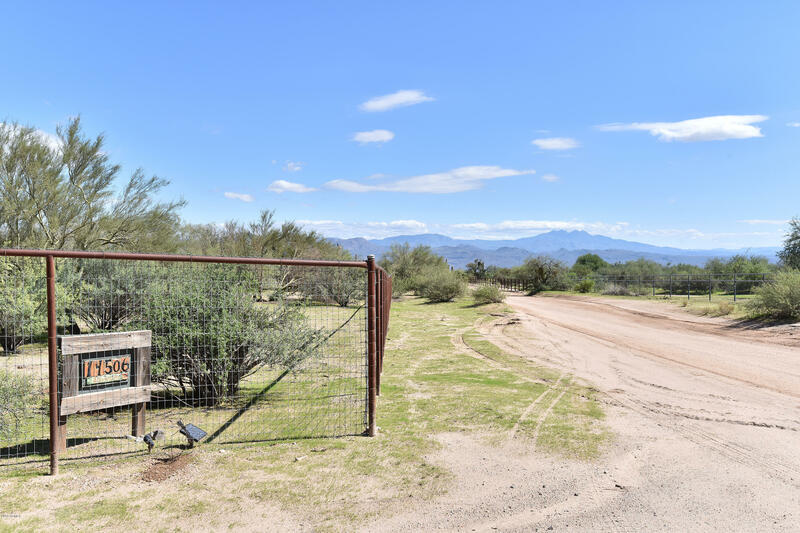 Lock n leave.